CenTex at its Fall best. 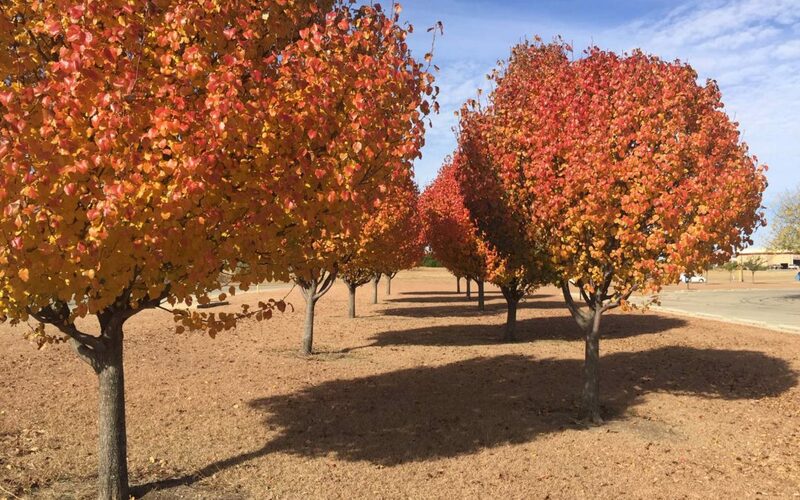 A bit behind the rest of the world, these beautiful trees are showing their colours the Sunday AFTER Thanksgiving here in the U.S…. that’s starting the LAST WEEK OF NOVEMBER. For someone who really hates the heat, I don’t know how I tolerate living here year after year, but for all the complaining I do, I have to find something positive to cling to, and here it is. Enjoy the trees! As an addendum, three days later a high wind (30MPH gusts) knocked all these trees almost bare. I was lucky to get this picture.